From June 1 to September 8 2015, participating Yogurty’s® stores will include three Splatoon-inspired flavours: the Squidsicle sorbet, Inkberry froyo®, and swirl the two to create Squid Ink. Yogen Früz® stores will offer to splat your favourite flavours with juice-bursting popping bubbles in mango and strawberry flavours. Splatoon and froyo® fans will be encouraged to share photos of their Splatoon froyo® creations on Instagram and Twitter for a chance to win Splatoon prizes. 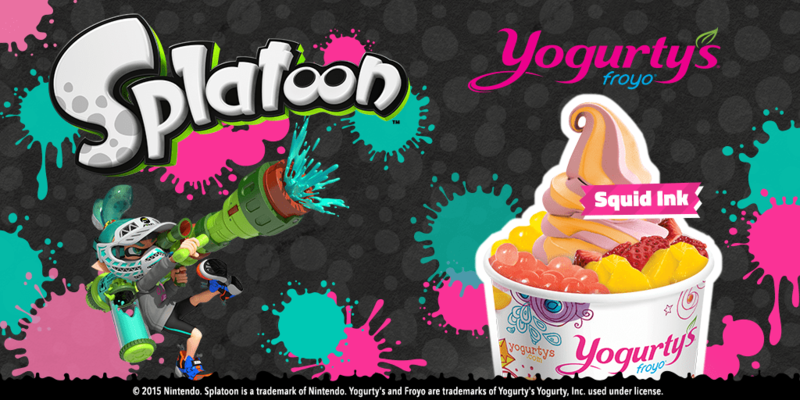 Use hashtags #SplatYourFroyo and #Splatoon for Yogurty’s® or #InkYourFruz and #Splatoon for Yogen Früz®. To kick off the celebration, there will be a special event held on Saturday, May 30 at the Yogurty’s at 527 Bloor St W., Toronto from 2 p.m. – 6 p.m., where the first 100 people to play Splatoon will get a free cup of frozen yogurt and toppings. 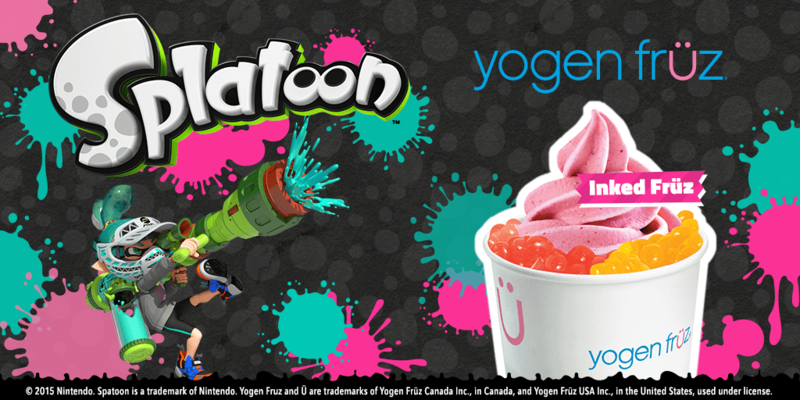 1 Comment To "Nintendo Of Canada Celebrates Summer With Splatoon, Yogurty’s And Yogen Früz"